At least 175 people committed to donating a majority of their fortunes through the Giving Pledge, which could be worth as much as $600 billion by 2022, according to a Wealth-X report. The pledge has drawn some criticism because it allows donors to name their own charities in their wills. Education was the top philanthropic cause in 2017, with about 62% of billionaires donating at least part of their fortunes to higher education funding, scholarships and more. More than 150 billionaires and billionaire couples have signed the Giving Pledge to donate a majority of their fortunes to charity, and a new report from financial research company Wealth-X predicts the pledge may be worth as much as $600 billion by 2022. According to Wealth-X, the total net worth of signatories in 2016 implied a pledged value of at least $350 billion. The new prediction is based on an increase in the number of signatories, an uptick in billionaire wealth during 2017, and projections for the billionaire population. The pledge included the signatures of 40 people from the United States when Bill and Melinda Gates and Warren Buffett launched it in 2010. As of April 2018, 175 individuals from 22 different countries have signed the pledge, including Facebook CEO Mark Zuckerberg and Tesla CEO Elon Musk. Signatories commit to giving away their fortunes during their lifetime or in their will, but they are not legally obligated to donate the pledged amounts. In 2015, five years after joining the initiative, Zuckerberg and his wife, Priscilla Chan, announced they would give away 99% of their Facebook shares during their lifetime. The shares were valued at $45 billion back then. Zuckerberg and Chan have focused their philanthropic efforts on childhood education and medical research. Musk, who signed the pledge in 2012, refuses his $56,000 minimum salary from Tesla each year. He has donated billions toward science and engineering education, pediatric health, and renewable energy. Some philanthropists have expressed concerns about the pledge; The late hedge fund manager Robert Wilson said the pledge has a loophole that makes it “practically worthless,” as donors are able to name their own foundations in their wills. The Giving Pledge initiative has raised awareness among billionaires of the need to give back to society, the Wealth-X report claims. Education was the top philanthropic cause among billionaires in 2017, with about 62% of billionaires donating at least part of their fortunes to higher education funding, scholarships and more. 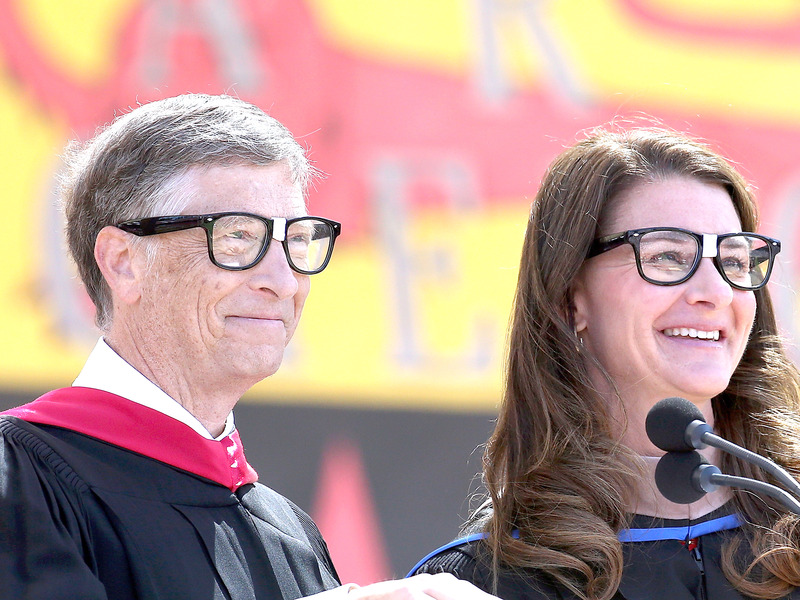 The Wealth-X report said about 21% of total billionaire donations went toward education.